In Heaven to Betsy, Betsy goes to high school. The summer before freshmen year she visits a family friend and becomes homesick. Luckily, her family calls her home to give her a huge surprise. The surprise makes it more fun to go to a new school with Tacy. Betsy makes many new friends, boys and girls, and finds herself paying more attention to The Crowd and Joe Willard than her school work. In Betsy in Spite of Herself Betsy enters sophomore year and decides it's time to re-invent herself. All the boys love coming to her house and hanging out but none of them harbor romantic feelings towards Betsy. And Betsy feels the same. She wants to find a beau and she believes becoming "Betsye" will help. Betsy's stories are as relevant today as they were in 1945 and 1946! Betsy's longing for a boyfriend, trying to find the most flattering clothes and hairstyles, hanging out with friends - things teenagers still engage in. I was surprised to find that not only did I enjoy the stories, I looked forward to reading more. Maud Hart Lovelace intertwines as much related history as she can while putting each story into a better context. I thought I was going to be bored with these stories because of the time period and Maud's past being so unrelated to mine. I was pleasantly surprised to find the stories entertaining and so readable. I thought I would skip over book 5 and just jump into book 6 but the story was captivating and I found myself engrossed - what happens with Betsy and Joe? She met him on her way home from her summer trip and then find he's going to her high school and he's also a freshman! Joe being able to live on his own with no parents fascinated me and I found myself trying to find more information about him. I can't wait to see what happens with him because Betsy is courted by two other boys and forgets about Joe. Betsy tales of romance and self-identity are well worth a read and I look forward to reading the final two volumes - four stories in all. These stories are based on Maud's childhood and my volume includes a chart showing who the real life "characters" were in the books. There are many pictures of the actual "Crowd" as well as pictures of many places mentioned in the books. Don't look at any of these extras unless you're dying to know what happens! 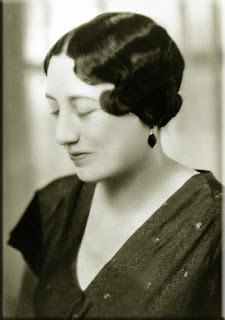 Maud Hart Lovelace is best known for her beloved series of Betsy-Tacy books which were set at the turn of the twentieth century in Mankato, Minnesota (Deep Valley). These captivating stories of small town life, family traditions and enduring friendships have captured the hearts of young and old for over 65 years. Thanks to TLC and HarperPerennial for supplying the information and books! 1. Ghostgirl 1 and 2 - This week I sent out Ghostgirl 1 and 2 by Tonya Hurley to those July 10 winners! Over 2 months late! I sent them first class so they should have them now! The Magician's Elephant by Kate DiCamillo (Teacher Mock Newbery) - good but wonder what audience DiCamillo had in mind. I think it will be great as a readaloud. I want to "attend" the webcast on October 25 and get into her though process. Notes From the Dog by Gary Paulsen (Teacher Mock Newbery) - liked this better than Hatchet. Simple but entertaining. Almost Astronauts by Tanya Stone (Teacher Mock Newbery) - loved the formatting in this book but it was very wordy. Learned much about these women who couldn't become astronauts. Sad to remember it wasn't that long ago. B is for Bufflehead by Steve Hutchcraft (NetGalley) - this was an interesting ABC book. The pictures were incredible and the variety of birds, mixing common with the not-so common, kept me reading. The formatting was a little bit of a challenge since it didn't stay the same. Also, this is definitely one that would have to be read to someone. After going through each bird Hutchcraft gives a miniquiz on each bird - picture and a question with four birds per page. After the miniquiz, Hutchcraft gave more information on each bird which also included four birds per page. The additional facts looked crowded on the page so I pretty much skimmed for the birds I was intrigued by and wanted more info on. The pages included the birds': range, habitat, photo information, food, and "fun feathered facts". Good addition to a school library. Blood and Chocolate by Annette Curtis Klause (book talk) - better than I expected. I've been wary of everything vampire, werewolf, etc because I have some students who won't pick up a book without those characters. I enjoyed this. The level of sensuality makes it upper YA. Dreaming Anastasia by Joy Preble (blog tour) - finished this one. Got me thinking about Russian history. Loved the way Preble weaved the story of Baba Yaga throughout and mixed in her own thoughts. The Magicians by Lev Grossman - started out strong but then sort of fizzled for me. I liked it well enough but thought the ending was just blah after so much promise. Good enough to pass on to other adult fantasy readers though. Betsy in Spite of Herself (6) by Maud Lovelace (blog tour) - would be done but I accidently left it at school Friday! I'm liking it because Betsy thinks she needs to be someone "more". So many students (and grown-ups) go through that stage. I Like how Lovelace intersperses history throughout her story. So far, Heaven to Betsy (5) is my favorite! The Last Dickens by Matthew Pearl (blog tour) - good but not great. It's entertaining but it covers similar ground to Drood by Dan Simmons which I've yet to finish but will before the new year! The Postmistress by Sarah Blake (BN First Look) - just started. Blake will be on BN.com starting October 12. Waiting for the reading schedule before posting. This week I received three books that I requested to review so I gave away three books then I went a little crazy and donated 2 bags of books to our school library! Why haven't I thought of that before??? I mean I've given books to our school before but never officially - like this. It was awesome. Except now I must catalog them all :(. I have one more bag to bring in. I did not buy one book this week. It was hard. So, I made a trip to the library and brought home a few reads I hope to get to in October. The Lost Symbol by Dan Brown - read and liked the Da Vinci Code. The Soloist by Steve Lopez - loved the movie and want to know more about the journalist, Lopez, as well as the prodigy, Nathaniel Ayers. Very intriguing. Stitches by David Small - graphic novel memoir that I've heard good things about. 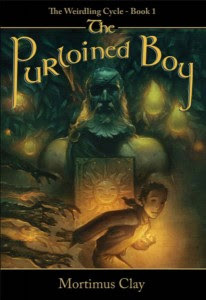 Sent by Margaret Peterson Haddix - loved Found and want to see where she goes with this story. The Evolution of Calpurnia Tate by Jacqueline Kelly - will return unread and just wait until one of the Newbery clubs I'm in reads it in November. To celebrate my Freedom to Read I'm going to read and post about To Kill a Mockingbird by Harper Lee this week and then give it away on the 3rd! The Banned Book Week image is used by Creative Commons license courtesy of newprotest.org. Long-winded! No more waiting two weeks! I will be mailing out new winners by media mail this week and Vanishing Sculptor to an old (not age!) winner by first class. Have a great week everyone! Each chapter, with the exception of the first, starts on Halloween. It just so happens that All Hallow's Eve is old WP's birthday. Each year, Jimmy recounts the events of that day: focusing mostly on the tricks and the doings of "The Society". It serves to move the story quickly but at the same time allows us to focus on the growing and changing relationship between Jimmy, his dad, and his brothers. We follow Jimmy through grade school. Laughing at the Halloween prank they barely survive on until he gets to the high school football team. Each year we see them grow older, Jimmy and WP. Throughout the story, Jimmy continues his love affair with the railroad. He wants to be just like dad, and Mike and Bill. But his dad is just as adamant that he cannot do that. When the Whistle Blows is beautiful. We are reading this at school as part of our teacher's book club. Look for thoughts from the teachers! 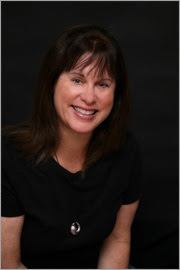 Fran Cannon Slayton is giving away a SIGNED ARC of When The Whistle Blows! If you want to see for yourself what it's all about - please enter! Just leave a comment with your email address. I would appreciate if you let me know if you review the book! One entry per person. US ONLY! Happy Sunday! I hope you are having a great day. Two huge things I want to talk about today - Me dropping the ball on some things and be NOT buying any books for a while! 2. House - over the past 2 1/2 years, I've neglected things around my house while I went back to school and worked my new job. I would show you some pictures of my un-landscaped, weedy, boring outside and inside house but that would require me to make an effort. 3. Giveaway Winners (I know, it doesn't start with an "h") - I have SEVEN packages sitting on my desk that contain books that need to be sent out! I owe so many apologies to these readers. They prolly don't read anymore but I am sorry anyway! I can't afford to mail them all at once, and yes, I have more giveaways going! I will try to send out 1 old package and 1 new package every other week until all packages are sent. That's the only way to do this. Old packages will go first class while all new stuff will go media mail. So, as you can see, I've got some changes to make and part of that means LESS computer time. My daughter's extremely happy about this. So am I. My house is overflowing with books. Literally. Also, the newer ones are covering up older ones so that I forget that I bought them and wanted to read those particular ones. I've been reading some posts that have convinced me that my past efforts lacked a plan and that's why they failed. So, the plan is now in place. This current ban will go until year's end, when it will be revisited. Need - book must be needed for something specific where it would be too late by the time I get it from the library. Budget - it's within my monthly budget. This includes shipping/handling costs. Room - I must get rid of one book for every new book that comes into the house - including blog tours and requested review books. Borrow - look for bloggers who want to trade or are hosting a giveaway for the book I want. Top 25 - it should be one of the top 25 books I want to read. I don't own 6 of my top 25. Which means I do own 19 of them! 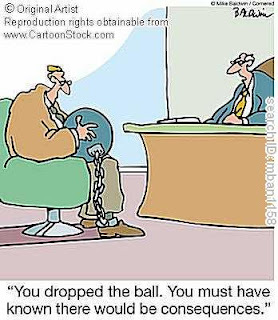 So, that's my plan to keep me from the poor house! Amulet: The Stonekeeper by Kazu Kibuishi - review. The Magicians by Lev Grossman - 1/2 done. Took an unexpected turn. I still like it. Best Friends Forever by Jennifer Weiner - 1/4 way through. Goose Girl by Shannon Hale - 1/2 done. Will have to put a couple of those aside while I do some blog tour reading for this and next week. I usually give those books away so look for them! Cassandra Higgins loves animals. She grew up rescuing them whenever she saw they needed help. She especially loved her dog Toby. Now Cassandra lives in a small town, in a small house, with four boys, a husband, and a living room full of animal collectibles. After what happened with Toby she doesn't trust herself around real animals anymore. So, each year, she satisfies her heart's longing by attending a convention and finding a material animal for her shelf. She'll never forgive herself, or her mother Betty, for what happened twenty-four years ago. I really enjoyed this book. I felt as if I as able to get inside Cassandra's head and find out why she felt the way she did. I also understood Betty. Sometimes, as a single mom, you have to make tough choices and you can't always make the right ones. But they usually feel right when you make them. I thought Baumbich introduced too many characters though. The addition of Cassandra's friend Margret, Marget's husband Leo, and Margret's family felt like I was trying to keep too many people straight. Also, Ken, Cassandra's husband, was a little too good to be true. When Margret told him things about Cassandra's past that he didn't know, he just accepted them and moved on. He didn't really talk to her about being open and honest with him. That said, I still liked the way he took care of her. The plot was a little predictable, you could figure out how things were going to come around long before the story wrapped itself up. But, it moved at a nice clip and I kept turning the pages. I actually read the entire book in one sitting. Stray Affections was an easy, relaxing read that made me pause and think. I liked how Baumbich showed her love for God without making me feel condemned or damned. The book showed a promise without making all the characters immediately repent and turn from their ways. The broken relationships didn't heal overnight but there were quite a few "feel good" moments. And I absolutely loved the twist with the snowglobe. That was unexpected and brought tears to my eyes. Charlene Ann Baumbich is a popular author and speaker and an award-winning journalist. In addition to her Dearest Dorothy series of novels, she has written seven nonfiction books of humor and inspiration. A bungee-jumping, once motorcycle-owning grandma and unabashed dog lover, Charlene lives with her husband and rescued dog Kornflake in Glen Ellyn , Illinois . She loves telling stories, laughing whenever possible, and considers herself a Wild Child of God. Check out Charlene's website - Don't Miss Your Life. Charlene will be at Anderson's Bookshop in Naperville, IL on Tuesday, September 29, 2009. I'm giving away one copy of this book courtesy of Ashley and Random House. Just mention in the comments that you'd like to read this and leave your email address. The giveaway will run until Thursday, September 17, 2009 midnight. US and Canada entrants only, please. Bran Hambric has no memory of his life before he was found in a locked vault in the bank at the age of 6. We catch up to Bran, 14, living with the Wilomas on Bolton Rd. Bran's not so much a son but closer to a servant. He lives with the Wilomas' and helps out his Accidental Dad, Sewey, with bank business. One night, while helping Sewey, Bran meets Shambles and starts on the journey to finding out who he really is. 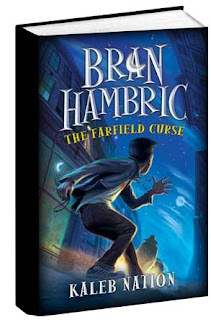 Bran Hambric: The Farfield Curse has a very strong start. The prologue opens with action that pulls you into the mystery. Then we jump to Bran at home on the roof with Sewey. We meet Shambles who seems to know more about Bran than Bran himself. He has a sinister air about him and leaves behind a piece of paper that covers up as much as it uncovers. Things slow down a little as we get into more of the story. We're introduced to Sewey, who found Bran, Mabel, his wife and their two spoiled children. Sewey is obviously "dimwitted" and is determined to find an outlawed gnome. Mabel is obsessed with cleanliness. Rosie, the maid, is stuck in what she sees as her heritage. Her family has always served the Wilomas family. We also meet a host of other characters - the good guys - Adi, Astara, and Polland as well as the bad guys - Joris and his gang. My main problem was the sheer number of characters. There were so many that none of them felt fully formed. The action picks up again towards the end as we start pieceing together clues to Bran's past. We find out more about his mother and how Bran is tied to the things she'd been involved in. Bran discovers his talents and eventually uses them to great success. I thought Kaleb's writing showed a sense of humor and creativity. I admired the magical language he invented and enjoyed trying to figure out the translations. This was a fun read and I would recommend it for middle grade students. But as with most writers, not even that could stifle his dream. On the third night of the third month in 2003, age 14, Kaleb had a sudden idea that began the story of Bran Hambric, a novel which would take most of his teenage years to write. In early 2007, Kaleb finished the first book in his series. 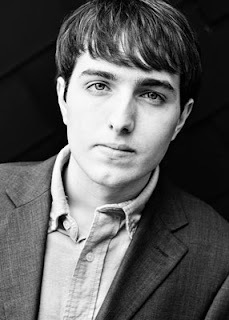 In mid-2008, Kaleb launched a second blog at TwilightGuy.com, giving chapter-by-chapter insight, from a guy and writer’s perspective, on reading the Twilight Saga, a series of popular novels. The website went on to receive over 5 million hits, and was featured in BusinessWeek and Entertainment Weekly magazines, as well as on MTV, ReelzChannel and other TV outlets. Kaleb also began posting regular videos on his Youtube channel, with a combined total of over 8 million plays. To celebrate the release I'm giving away my ARC! Interview with Kaleb Nation in the front! Please leave a comment with email for entry. 1 entry per person. Contest closes Wednesday, September 16, 2009 at 11:59 PM. No email entries will be accepted! Winner announced Friday, September 18th. Trevor is in an orphanage where he meets Maggie and Epictetus. 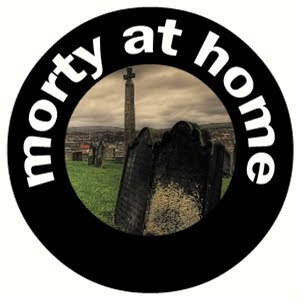 They tell him that his "nightmares" of home are actually memories. Contrary to the Guardians lies, there really are places called "home" and there really are people called "parents". Maggie and Epictetus want to help Trevor get home. The Purloined Boy is a fast-paced, action packed mystery. We travel with Trevor as he tries to find his way "home". Time passes strangely in the Purloined Boy. I had a hard time telling "when" things were happening. The humor was subtle but effective. My favorite kind. I have a tendency to want to give God a hand. Yes, this is Christian Middle Grade fiction! But the lessons are understated. You take what you need. Leave the rest. So well done. To this day Dickens denies saying any such thing. But Professor Mortimus has his sources and Dickens always was so full of himself. It gives one a chuckle to know the old snot has not written anything in over a century and here is his old shoe, Mortimus Clay, as dead as a doornail, still writing after all these years! How absolutely delicious! While living, Mortimus Clay served as Professor of Arts and Letters at the Her Majesty’s Knitting College for Wayward Girls. After teaching Beowulf and The Faerie Queen to unappreciative knitters for 50 years in the backroom of a Manchester warehouse, Professor Clay died in 1885 a gray and wizened man. It was the best thing that ever happened to him as his writing took an immediate turn for the better. I'm impatiently awaiting The Quest for the Fey Brand, Book 2 to be published! Slowly easing myself back into a life without classes. Trying to make sure I fill the time with something meaningful. I seem to have forgotten what that entails. I'm taking it slow though, in the meantime I'm catching up on some reading. The Giver by Lois Lowry - Our 8th graders will read this starting next week. Somehow I'd read The Messenger and Gathering Blue, companion novels, and skipped this one. Some things make so much more sense. Ending was a little fantastical though. The Last Summer of You and Me by Ann Brashares - have had this on my bookshelf since March and felt like reading it. It was a good beachy read. It had some romance, love and loss. The infidelity didn't seem like it belonged but it didn't distract from the story much. The Magicians by Lev Grossman - I'm liking this one. I'm only a quarter of the way in and it's entertaining. Goose Girl by Shannon Hale - I'm reading this one to get some background information for Forest Born which I'll read for the Mock Newbery book club. I'm a quarter of the way in and will read the next 2 in the series over the coming months. I also read some blogs - thanks to whomever pointed out the Next button for Firefox. Instead of going to Google Reader you just hit next and read what comes up. It's pretty neat and feels less overwhelming than looking at those unread posts in the Reader. This week I've got more blog tour reading, more school reading, and a meeting that will define some of the other reading I will do this month. Have a great Sunday! Relax and enjoy your life. Happy Friday! So I thought I was going to be able to post everyday in September but that is not going to happen. So I will stop making promises and just post as often as I can! Anyway, it's Friday! I went to a literacy workshop with some of our teachers this past week and it was so affirming. We talked about practices that keep students engaged in reading, writing, listening, and speaking in all classrooms not just language arts and not as something additional but as a part of teaching. I also enjoyed meeting teachers from our other two middle schools. Some of the books that were talked about this week will make up my Five. All summaries are from Amazon unless otherwise noted. 1. The Book Whisperer by Donalyn Miller - the Gifted and Talented Coordinator told me I needed to read this. I ordered it for my personal library and will tackle it this month. Here's a starred review - Miller, a sixth-grade language arts and social studies teacher and blogger, has enabled students of many different backgrounds to enjoy reading and to be good at it; her students regularly score high on the Texas standardized tests. Her approach is simple yet provocative: affirm the reader in every student, allow students to choose their own books, carve out extra reading time, model authentic reading behaviors, discard timeworn reading assignments such as book reports and comprehension worksheets, and develop a classroom library filled with high-interest books. Her students regularly read more than 40 books in a school year and leave her classroom with an appreciation and love of books and reading. Miller provides many tips for teachers and parents and includes a useful list of ultimate reading suggestions picked by her students. This outstanding contribution to the literature is highly recommended for teachers, parents, and others serving young students. 2. In The Middle by Nancie Atwell - our 8th grade ELA teacher mentioned this as one of the books that changed him. From Heineman - When first published in 1987, this seminal work was widely hailed for its honest examination of how teachers teach, how students learn, and the gap that lies in between. In depicting her own classroom struggles, Nancie Atwell shook our orthodox assumptions about skill-and-drill-based curriculums and became a pioneer of responsive teaching. Now, in the long awaited second edition, Atwell reflects on the next ten years of her experience, rethinks and clarifies old methods, and demonstrates new, more effective approaches. 3. Why Don't Students Like School by Daniel Willingham - This was mentioned a few times and is said to go beyond brain research theory and into how to put it into place in the classroom. Kids are naturally curious, but when it comes to school it seems like their minds are turned off. Why is it that they can remember the smallest details from their favorite television program, yet miss the most obvious questions on their history test? Cognitive scientist Dan Willingham has focused his acclaimed research on the biological and cognitive basis of learning and has a deep understanding of the daily challenges faced by classroom teachers. This book will help teachers improve their practice by explaining how they and their students think and learn?revealing the importance of story, emotion, memory, context, and routine in building knowledge and creating lasting learning experiences. 4. The Number Devil by Hans Enzensberger - mentioned in the Subjects Matter book we were studying and sounded like it would be an interesting read. Young Robert's dreams have taken a decided turn for the weird. Instead of falling down holes and such, he's visiting a bizarre magical land of number tricks with the number devil as his host. Starting at one and adding zero and all the rest of the numbers, Robert and the number devil use giant furry calculators, piles of coconuts, and endlessly scrolling paper to introduce basic concepts of numeracy, from interesting number sequences to exponents to matrices. Author Hans Magnus Enzensberger's dry humor and sense of wonder will keep you and your kids entranced while you learn (shhh!) mathematical principles. Who could resist the little red guy who calls prime numbers "prima donnas," irrational numbers "unreasonable," and roots "rutabagas"? Not that the number devil is without his devilish qualities. He loses his temper when Robert looks for the easy way out of a number puzzle or dismisses math as boring and useless. "What do you expect?" he asks. "I'm the number devil, not Santa Claus." 5. The Read Aloud Handbook by Jim Trelease - each day before lunch they read a short story to us. We loved it. I want to work this back into library time or convince teachers to do this in class. This will be one that I buy for my personal library also. Jim also lists the Read Aloud of the Week. I think I'll start there.